At Riss Ltd, We work closely with our North East clients to fully understand their requirements. Be it internal fit out, plastering, partitioning or commercial ceiling. Ensuring exceptional delivery and a high quality finish. Fanatical attention to detail with outstanding health and safety standards building lasting relationships. We are committed to continual improvement with regards to our health, safety and environmental performance. Our most valuable asset is our employees so our attitude towards the wellbeing of our staff and all other persons effected by our work plays a vital part in our success. Through continuous communication we ensure all parties involved in our projects are consulted at each stage, ensuring that the highest standards are achieved every time, first time.  Quality inductions and toolbox talks are delivered throughout each phase of a project, along with our inspection test plan and hold points. These are cornerstones that guarantee our commitment to quality and the environment during the lifetime of every contract we undertake.